Cora Creed is the vice president of Digital Supply Chain Management at Universal Music Group in New York. 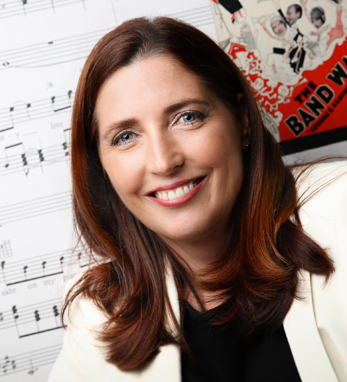 Originally from Listowel, Co. Kerry, she came to the U.S. on a Donnelly Visa and “has never looked back.” She has almost 20 years experience and expertise in business transformation in the digital space, and has worked with leading brands like Napster, Sony, and EMI. Cora believes that “Despite being one of the smallest nations on earth, [the Irish] have left an indelible mark,” as many aspects of Irish culture “have propagated to the four corners of the world.” She is also struck by the “incredible goodwill towards the Irish” that she finds on her travels abroad. Cora is also a founding member and sits on the board of directors of Swazi Legacy, a nonprofit organization that assists marginalized and homeless young people in Swaziland. She will help lead a team from New York and Ireland to Swaziland in June to work with orphans at Manzini Youth Center. Cora is married to Thomas Creed, also from Kerry and still very much considers Kerry home. Her mother Kathleen is from Kerry but now lives in London, and her father, Brendan, was from Dublin.